Although granite worktops are considered the King of Worktops, they don't necessarily have to be expensive. Try us for a quote, you might be pleasantly surprised. Quartz worktops are very popular, made using natural stone and a polymer mix, they are hard wearing but flexible enough to be creative. Check out the colour swatches. Worktops that stand up to the harshest environments and perform amazingly in the busiest of kitchens. The Italian Granite Company, Specialists in Quality Granite, Quartz and Dekton Worktops. 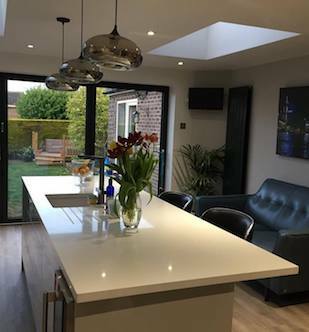 Based in Barnsley, South Yorkshire, we design, cut and fit granite and quartz worktops and are ideally situated for access across the UK. 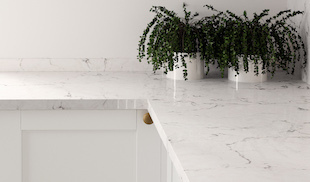 With more than 20 years experience specialising in Granite, Quartz and Dekton kitchen worktops, our experienced team will guide you through choosing between granite, quartz or Dekton, colours, finishes and a no hassle, professional fitting service. Browse through our gallery to see some of our granite and kitchen worktops installations across the UK and closer to home in Barnsley. Our quartz worktops are backed by our 25 year guarantee and our Dekton worktops come with a 10 year guarantee. 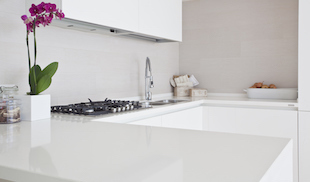 Our customers across the UK have peace of mind that they’re worktops of the highest quality. 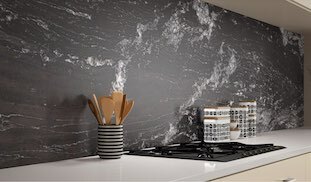 Our granite worktops are made from 100% natural granite, they’re millions of years old and other than being fabricated, they’re unchanged from how nature intended. We work with an increasing number house builders and on commercial installations and offer discounted prices on bulk orders. Click here to see examples of our installations.